Financial Connections provides customers with clear, accurate financial information customized for your organization. Our commitment is to process all financial information and produce reports by a designated monthly date agreed upon by you. However, we go one step further. We help you look at this financial information as it relates to your individual organization. Before the end of the month your Account Manager or Financial Connections can meet with you to review the information, point out key elements, and address any questions you may have about the numbers. We also offer 24-hour online viewing of your Business finances. 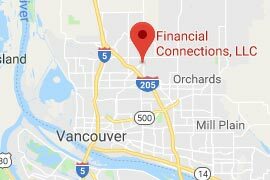 Financial Connections provides full range accounting/bookkeeping services to clients in all areas of the United States. We recognize that all companies are different, and we custom design the accounting services we provide to meet your individual needs whether it’s payroll or taxes, we have the knowledge to meet your needs. We also take the burden of back and forth trips to your accounting firm off you and we will come to you to pick up documents or you may fax, email or mail them to Financial Connections. Financial Connections distinct advantage is that we make it simple for you to review and check in on your business finances by making them available to view by you anytime from any computer. 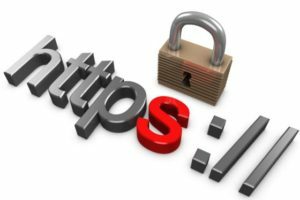 We utilize a Virtual Network System that offers you Secured Access into your companies financial files, much like a Bank utilizes online. This feature alone separates us from other accounting and bookkeeping firms. Just as your Internet provider provides access to web pages we provide accounting and accounting software for your needs. Your accounting will run in its own window on your personal desktop computer or laptop as if it was installed there. You will have access to the latest software at the click of a mouse. You will be able to do as much or as little of the accounting as you like, and this can change at any time; it is that flexible. 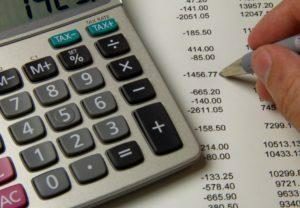 So, for example if your bookkeeper or someone on your accounting staff quits, Financial Connections LLC., can immediately take over the function until you find a replacement or we can continue to do the work for you, freeing you of the worry of hiring and retraining a new bookkeeper. If you want to keep and internal bookkeeper, we can train them over the Internet, online, because they can be viewing the same screen that we are as we walk them through step by step. We have computer professionals continuously and securely managing your accounting records so you don’t have to worry about losing any data and your records are backed up daily on site and weekly off site. All data transmissions are encrypted – so your data is secure. Trained bookkeepers are available to either enter your data or help with your accounting problems, we will both go online and look at your records simultaneously and show you how to solve the problem. No more waiting! Since we can do the training or accounting, you spend less time on activities that don’t generate new business and revenues.